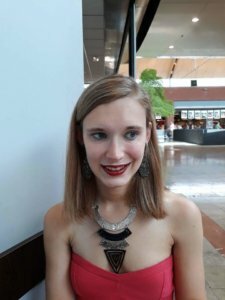 In October 2017, Véronique started her journey with OpenClassrooms. She decided to enroll in the Product Management learning path taught by Patrick O’Malley, Product Management consultant and previously Head of Product at Yahoo! Answers. The Product Management path is a master’s-level program delivering a state-endorsed diploma which is recognized internationally (Level 7 on the EQF). It is completely online and comes with weekly dedicated mentoring sessions. The learning is project-based which means that you are taught to work on real-life scenarios and build a portfolio. It, therefore, comes with a Job Guarantee: if you don’t find a job within 6 months, you’ll get your money back. We decided to interview Véronique because not only did she finish the path in a record time (9 months is impressive for such an advanced path) but she’s also the first one to finish it. She’s, therefore, the best to advise future students on this program and give her best tips to her fellow classmates. What is your background and what did you do before studying Product Management? My name is Véronique D’Haeseleer, and I am 22 years old. After a bad experience in high school, I was bullied and misunderstood a lot for being a transsexual as I was just going into transition at that time, I finished my education in sales via a true formal education. Those were older and more mature people who understood me very well. Later on, I was looking for something to do in higher education but I was afraid of going into a school with the same mentality again, even though it was not visible anymore who I was before. In the meantime I started, after some courses, my own fashion company and I started helping out in clothing stores. What is your definition of a Product Manager? My definition of a product manager is that a product manager is the voice of the customer. The product manager needs to keep track of what the customer wants and is supposed to lead the team in the right direction. Can you describe the Product Manager path on OpenClassrooms? The product manager path is very structured. You follow it, one project at a time with hands-on assignments, like in real life, and everything follows a specific learning path. In the case of the Product Management path: first, you learn about user stories, later about the product roadmap and finally about the whole project planning. What did you like the most about this learning path? Because I love to communicate – with a team, with customers, with stakeholders … and also because I want a job without a day to day routine. Every project is different, so you always have something new to go for. What is the number 1 skill that a Product Manager must have in order to do a good job? The number 1 skill for a product manager is that he/she needs to be able to think in advance. Whenever there is a problem, the product manager should be there with a solution. Do you have any tips for aspiring Product Managers? As a manager/future manager, stay up to date! Keep on following courses and try to blend in with the tech team (when you have a technical PM job) by following coding courses, UX-design courses, etc. There are enough extra courses on OpenClassrooms to find what you need. Are you an aspiring Product Manager? Would you like to start a successful career and get a top-earning job? Visit the program page now.